The tallest variety we grow, and also the latest to bloom. 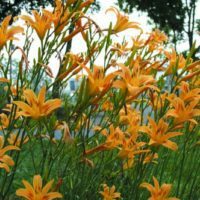 Butter yellow blooms with a rosy orange wash and halo appear on very tall 66″ scapes after most other varieties have finished blooming. Fragrant. Autumn Minaret has been blooming in my garden for two months and I have several new stalks ready to bloom. Of my day lilies this is the best in our hot humid South Georgia climate. It is blooming right now, there are 10 blooms today, I would expect it to bloom for at least another 2 weeks. It is a giant, I’m 6’2″ and it is taller than me. Very beautiful, took about 4 years for it to really take off, and this is the year it has. I have counted at least 20 scapes, and I get at least 10 blooms daily. What a plant!! Love it, going to order some more. We planted Autumn Minaret in the spring of 2012 and waited for it to bloom, but it was pouting about the move and didn’t that year. In 2013, it waited until all the others had finished in order to get our attention all to itself and bloomed moderately at almost five feet tall. 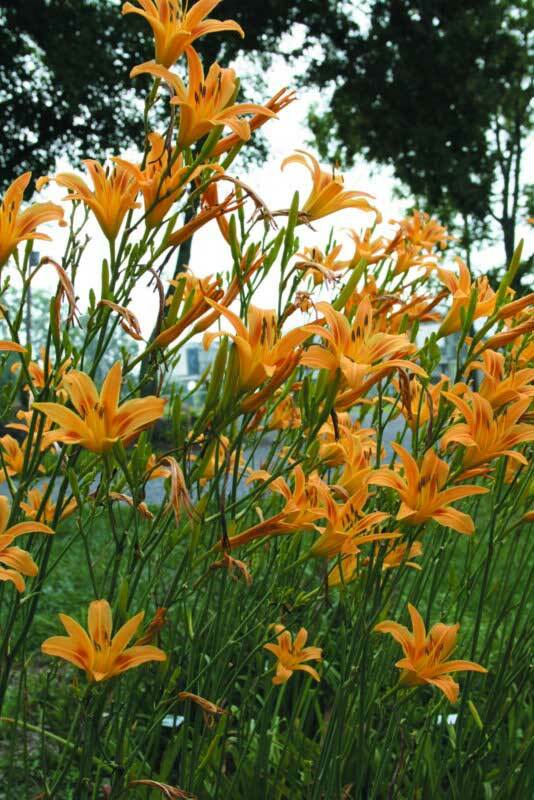 The thin strong scapes started blooming their pretty faces at a shorter height and kept making new buds at their tips as they grew taller. Our oohs and aahs must have flattered and pleased it. This year it has shot up a thicket of scapes already over four feet tall and is setting buds by the dozens. We are in for a show! 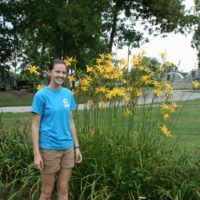 Thinking of how to extend the day lily bloom season? This on will certainly do that. We are very pleased with it. 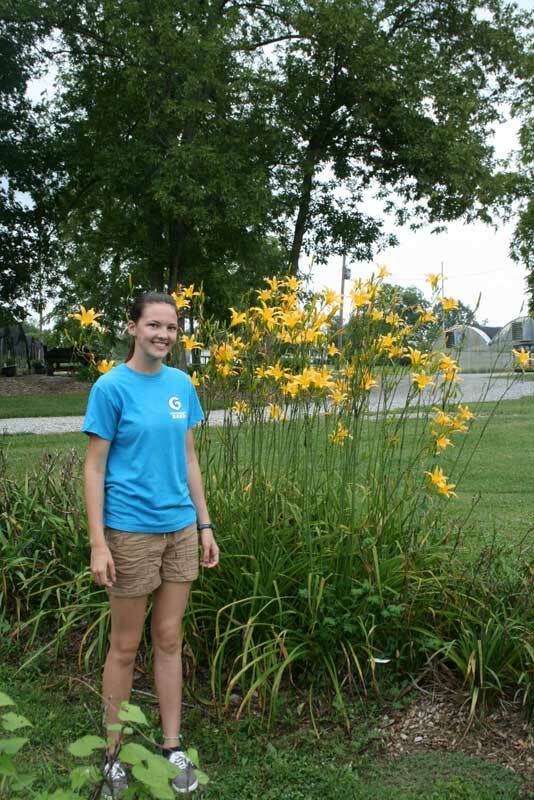 Truly a tall daylily! They reach for the top of my six foot cedar fence. Still blooming in CA.’s hot Central Valley and it’s nearly August! 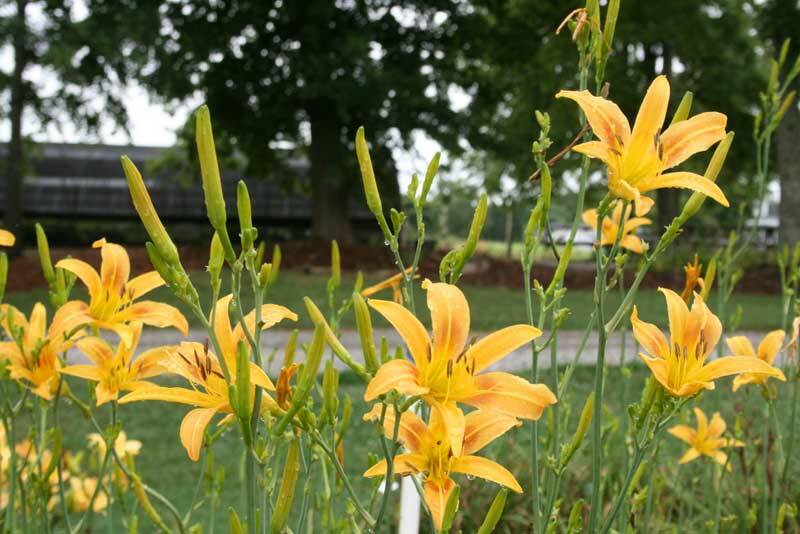 In its second year and showed many scapes with multiple blooms. Tends to face the sun, though. Much like a sunflower. 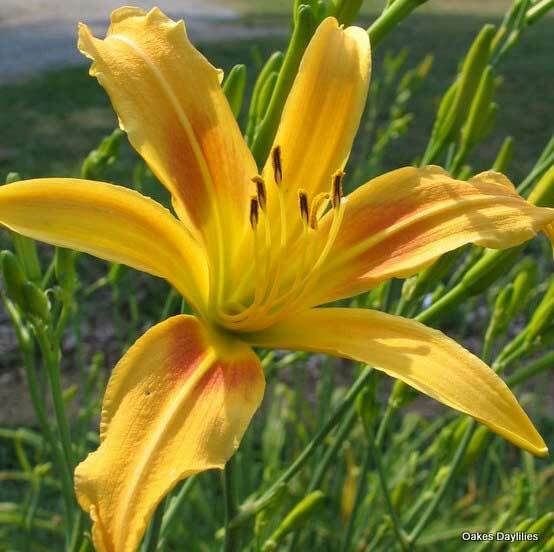 A great background daylily. 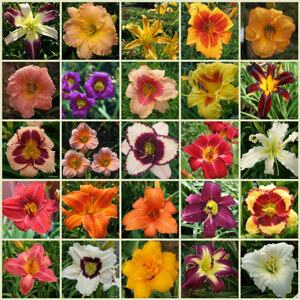 Every time I think I know what my favorite daylily is, another one comes along that steals my heart. Autumn Minaret has done just that. One can’t help smiling when you see the happy blooms. They look so cheerful, standing so tall. It has produced an abundance of blooms and still has many new buds forming. I will be enjoying it for a good long while. I have it planted at the back of the border near a finch feeder. The goldfinches light on the tall stems of the daylily and await their turn at the feeder. It’s a beautiful sight! I will be ordering more of these. 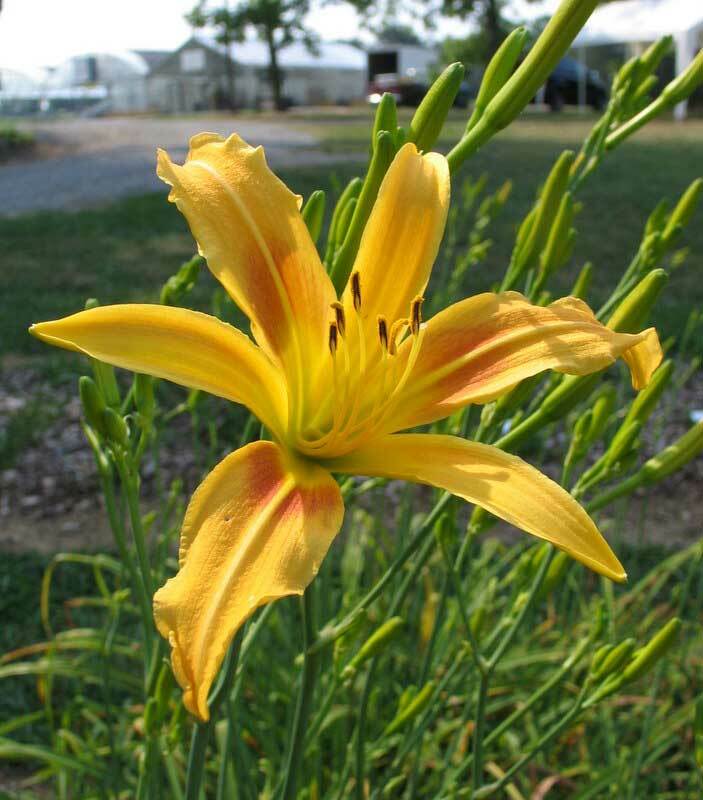 This is my most useful daylily. Anywhere I need a tall plant to fill in a space in my gardens, this is my “go to” plant. 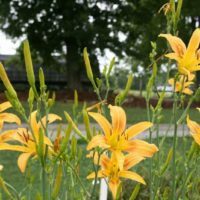 I’ve used it to fill gaps between bushes, tall grasses, tall sunflowers/perennials and to border the back of my main garden which runs the complete length of my garage. Flowers are very delicate and graceful suspended high above the foliage. Love it! 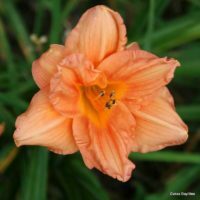 The ONLY daylily in my garden that the deer haven’t destroyed. 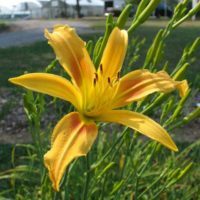 I have over 50 different varieties of daylilies and this is the most unique one in my garden. 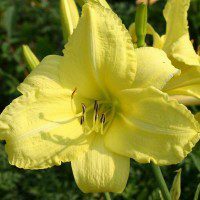 It’s extremely tall height makes it perfect for the back row behind other plants. Besides being a very late bloomer, it blooms for about 6 weeks straight (mine is 4 years old). 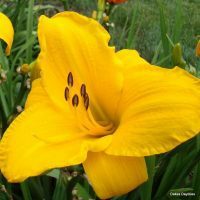 While you look down to admire every other daylily, this one you see as soon as you walk in the garden because it stands above everything else. 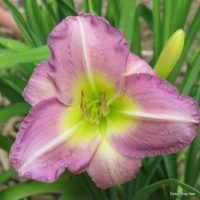 I make room for new daylilies by giving away less desirable plants, but this one will always have a permanent spot in my garden. My mother has this one in her garden. 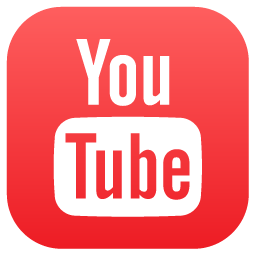 It is simply amazing to look at. I love it! What can I say….INCREDIBLE!! This one is absolutely worth having. And the above mentioned description is 100% accurate.